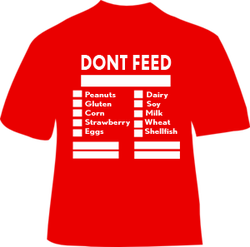 i wear this shirt when i go to places without my mommy so people know what not to feed me. In 2011, a bright star was born in the City of the Angels. His name is Joshua Whitley. Joshua has a natural ability to melt hearts with his big, bright eyes and beautiful smile. His charming personality is simply irresistible; most people fall in love with him the moment they see his handsome face. This precocious 2 year old has an impeccable memory and loves to learn new things. Often, he's determined to get what he wants and he communicates it easily. For fun, Joshua loves watching Mickey Mouse Clubhouse, riding his bike, playing at the park and enjoying his favorite toy, Little Tikes Tot Sports T-ball Set. Likeable, stylish and always ready for an adventure, Joshua Whitley is an amazing kid!
" Friday After Next " and "Curb Your Enthusiasm". From film to television to standup, Kym has wowed audiences for years with her hilarious wit and comedic genius. 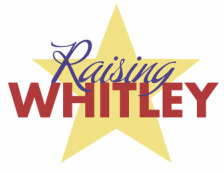 Get ready for the next generation of Whitley, America! No one knows what the future holds for this talented youngster but you can bet it’s going to be bright!